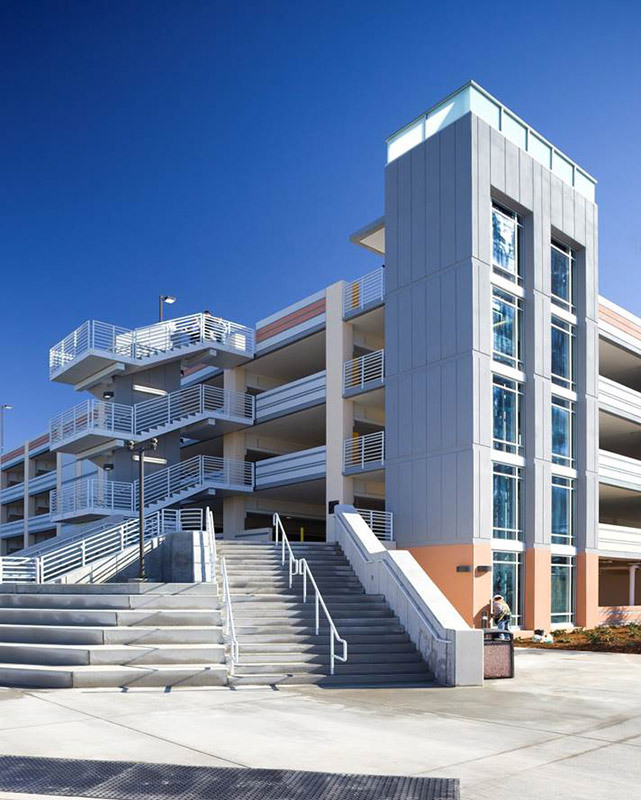 The American River College Parking Structure is an award winning design-build hybrid parking structure produced for a client who placed a high importance on the structure’s look and design. Taking full advantage of the collaborative nature of design-build delivery, the Project Team was able to quickly provide accurate design, constructability, cost, and schedule analyses for numerous options and alternatives to the client prior to submitting the completed contract document package for DSA review. 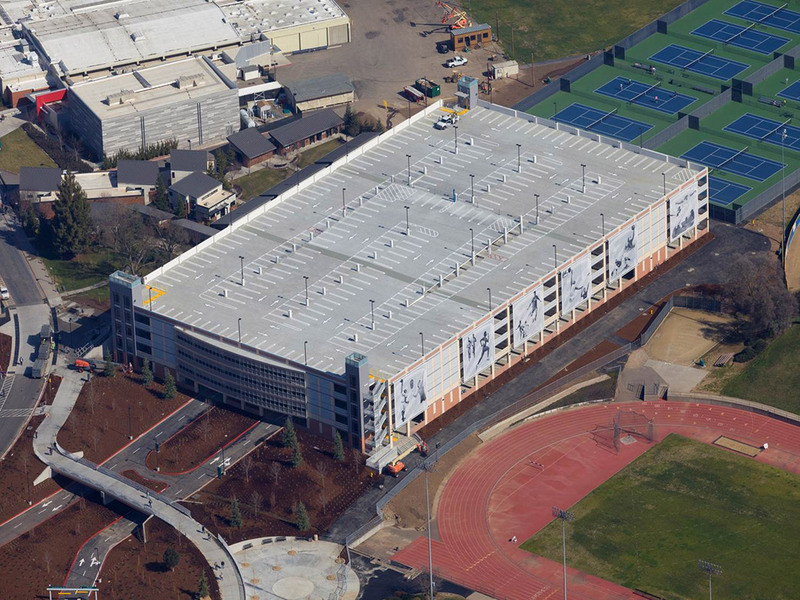 The completed structure is a 5-level, 486,000 square foot college parking complex with 1,735 vehicle parking stalls and serves as a gateway structure at the campuses main entrance. 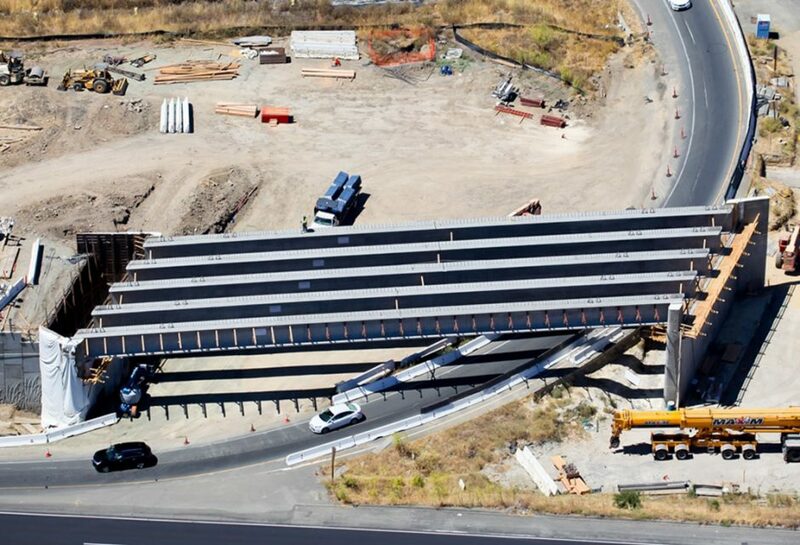 It utilizes 106 single section, 60 foot tall, precast concrete columns, 314 long span beams and 24 transfer girders combined with post-tensioned cast-in-place concrete decks. 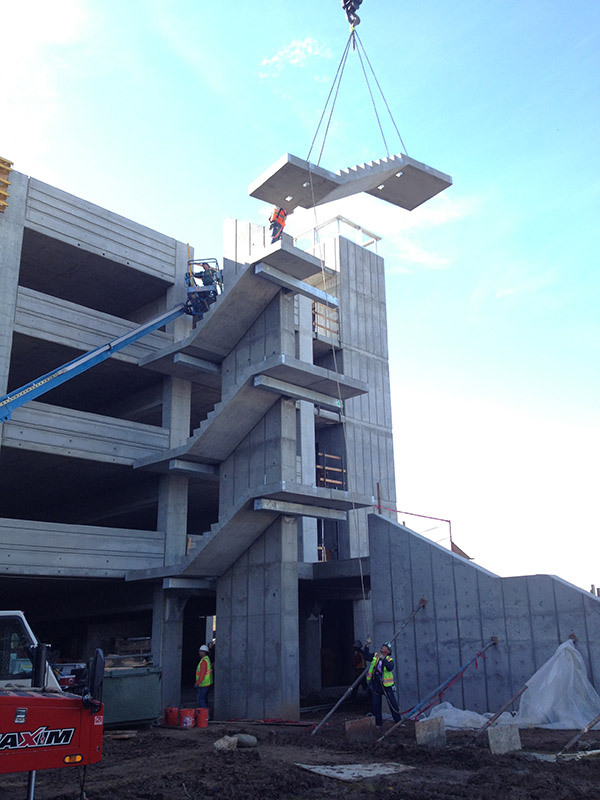 Con-Fab also furnished structural precast bridge slab members for the gateway pedestrian overcrossing and folded plate stair sections for an external signature stairway. A high priority was placed of the use of sustainable and durable materials for this project. A low impact landscape design responds to campus standards for sustainability and low water use. The design also includes an allowance for the future installation of 49,400 square feet of roof mounted photovoltaic panels. From the start of site preparation in May 2012 to project handover in February 2013, this project was completed in 10 months. 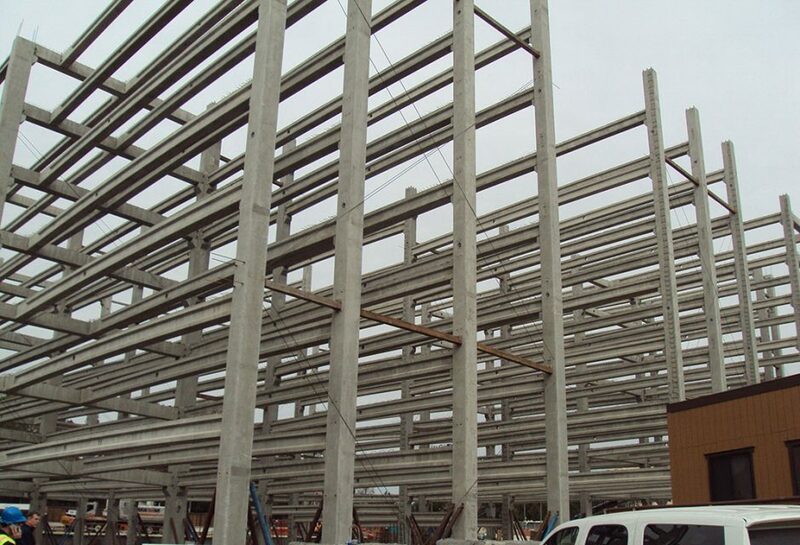 Precast production commenced while the site was being prepared and the foundations constructed. 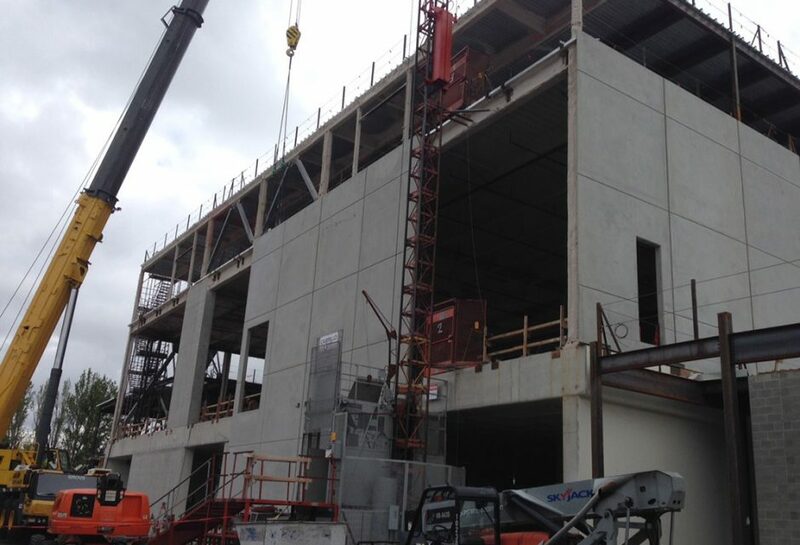 The resulting overlap of on-site and off-site construction activities accelerated the construction schedule. 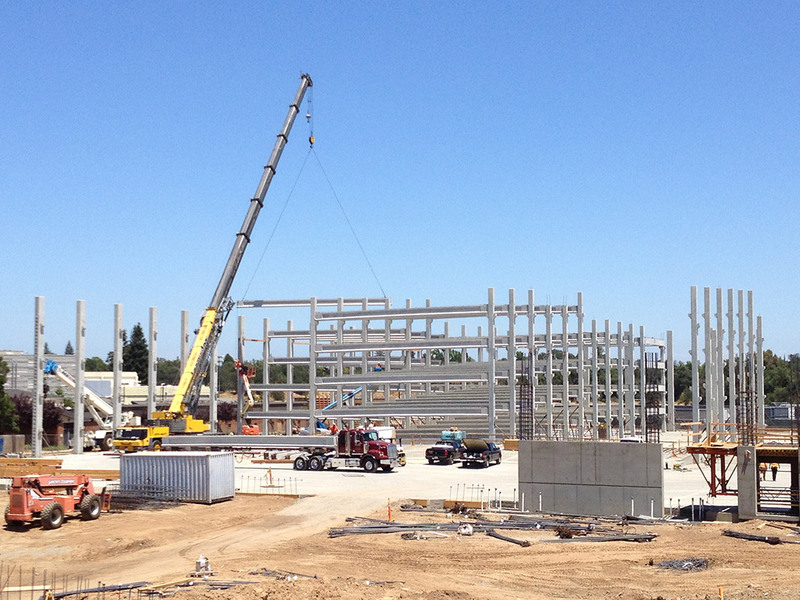 Con-Fab erected the complete beam and column gravity frame in 20 working days.